We are definitely in the early stages of cannabis investing and the infrastructure building stages of the marijuana sector where fortunes will be made. I can tell you with 100% certainty that fortune favors the bold, and those that are nimble enough to go with the trend will benefit the most. The U.N. estimates the cannabis market to be $150 billion globally. This is a sector going from the black market prohibition into a regulated legal environment with miles of inroads and infrastructure to build out and piles of wealth to be made. 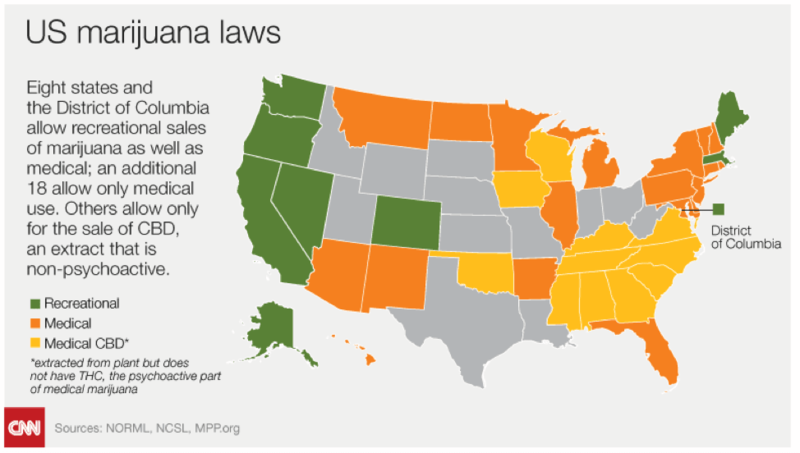 With states across the U.S. legalizing cannabis, along with countries like Canada federally legalizing recreational cannabis, we are beyond the tipping point. The stigma around cannabis is being completely removed. People are learning that it’s much safer than alcohol, cigarettes, and certainly superior to hard drugs such as heroine, cocaine, and methamphetamines from a health perspective. The FDA has recently approved the first ever drug based on cannabis. And now that it’s being decriminalized, it’s going to be available to study and fully explore the health benefits, unlike any other time in history. In many ways, it’s become a panacea for many ailments. More importantly, though, the mass public is learning about this, and a massive shift in attitude towards cannabis is sweeping throughout the world. The rise in public cannabis stocks has been absolutely meteoric. This is still only the beginning. The world has yet to fully be introduced to the next Philip Morris or Anheuser Busch of the cannabis space. In due time, the legacy stocks that will be handed down to our children and grandchildren will begin to surface as the dominators and will be 100% apparent. For now, the industry is still super immature, which is why I’m getting fully invested in the space with companies that offer the most upside, with a tsunami of a trend backing them. After an incredible amount of due diligence and vetting, I’m proud to announce my next cannabis pick, C21 Investments Inc. (CSE:CXXI), a Vancouver-based corporation focused on the cultivation, manufacturing, processing, and distribution of quality cannabis throughout the United States, including non-hemp derived CBD products that are distributable throughout North America and the international markets. Rather than profit from only one aspect of the cannabis market, C21 Investments Inc. capitalizes on the entire process, from production all the way through distribution. This is an A-Z business model, with the company making acquisitions and operating along the entire spectrum of the cannabis space, capturing profit margins through the entire value chain. This is an incredibly aggressive strategy that offers the potential of high rewards for savvy investors! For C21 Investments Inc., only the best will do when it comes to value-added acquisitions. 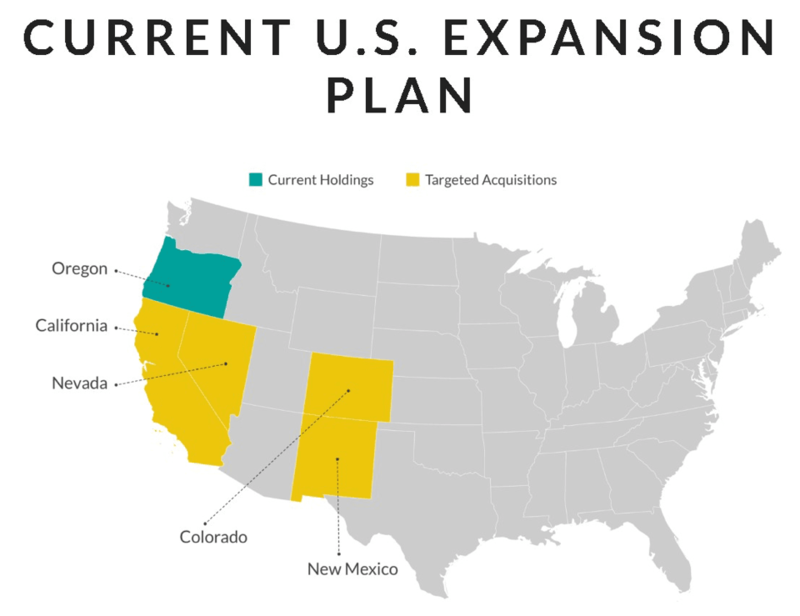 These acquisitions include dispensary 7 Leaf, which has developed a loyal following of roughly 2,000 customers per month; Pure Green, a 3,000-sqare-foot retail dispensary serving over 2,500 loyal customers per month along Portland’s “Green Mile”; Eco Firma Farms, an approximately 20-acre cultivation site with a building structure providing approximately 26,000 square feet of available indoor grow, processing, and office space; Swell, a grower, extractor, manufacturer, and distributor in a high-growth cannabis sector of THC and CBD products within Oregon; Phantom Farms Cannabis Co., which cultivates 80,000 square feet of cannabis in the famous Rogue Valley in southern Oregon, and will undergo further expansion of 40,000 square feet in its 2018 cultivation operations; and Nevada dispensary Silver State Relief, which has generated approximately USD$15 million in revenue during the first six months of 2018. The route to massive success is being forged right now, and first-mover status is absolutely critical for anyone who plans to make the really big money. Much like the legalized cannabis industry itself, C21 Investments Inc. has had an amazing 2018 so far, and the blue sky is the limit. Immediately consider taking a position in C21 Investments Inc. (CSE:CXXI)! This is truly a cannabis investment vehicle that’s destined to move fast and go far. One thing my readers know without a shadow of a doubt is that cannabis is one of the biggest stories of 2018. Many will experience the truly phenomenal profits to be made in the space if they are sensitive and willing to move with the trends. The trend here in 2018 in heavily in cannabis. A report from Arcview Market Research and BDS Analytics found that cannabis sales accounted for $9.5 billion in consumer spending. We’re largely moving away from cannabis being a Republican or Democrat divisive issue. Many states are racing towards legalization, and even ultra-conservative Oklahoma, for instance, just legalized medical marijuana, becoming the 30th state to do so. States like Oklahoma are desperate for tax revenue… the kind that a new green pot industry could generate. There is going to be a scramble for profits in the cannabis space like we’ve never seen before, and you might as well have a front-row seat to the show.